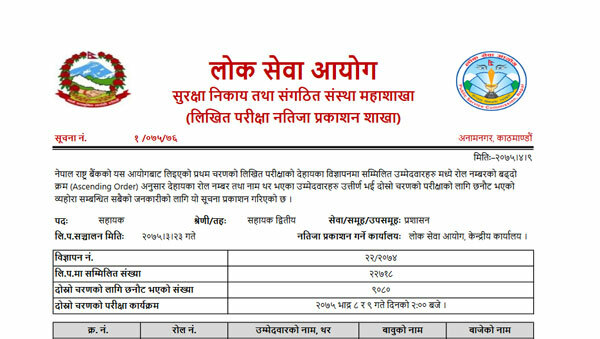 Public Service Commission (Loksewa Aayog) has published the results of first phase written examination held for the position of Assistant at Nepal Rastra Bank. The examination was held on Ashadh 23, 2075. > Candidates who are selected from first phase examination are eligible to appear in the next examination. click [ HERE ] to download written examination results of 1st phase.